Why do I keep signing up for these races? The last time I ran outside was October, when I did the Baltimore Running Festival 5k. The last time I ran a 10k was in June, when I did the Wayfarer’s Annapolis 10k. 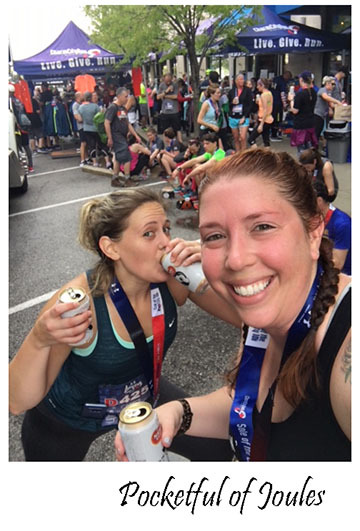 I was supposed to run the Across the Bay 10k in November… but we drank too much the night before and decided sleep and coffee were a better idea. So yeah, NO running for 6 months… why wouldn’t I shove my 41-year-old body into a running skirt and run a race?! 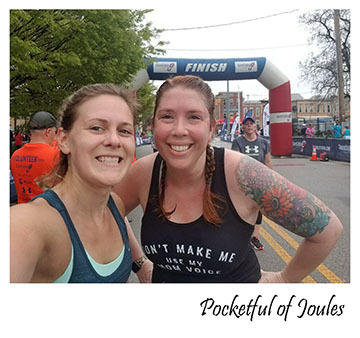 Running races with no preparation is kinda my thing though, so I strapped my lady lumps into my exercise bra, laced up some running shoes, stuck a few Tums in my fanny pack in case I got hit with a case of the I-haven’t-run-forever-case-of-the-pukeys and went for it. First of all, I love running with Lindsey. So any time I get to just chat with her while burning a bunch of calories is a win in my book. Especially if we get brunch after. With bacon. Which we did, of course. Also, the run actually felt pretty great. In fact, I have to check but I may have gotten my fastest 10k time ever (which is NOT fast for a normal person, but I run at turtle speed… so I’m cool with it). Anyways, before the brunch (and bacon) was the beer and band! 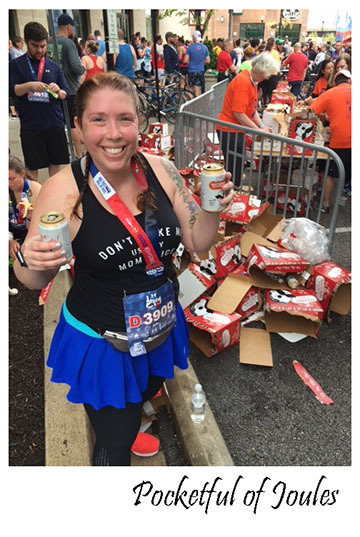 At the end of the race, each runner got beer tickets for 2 cans of Natty Boh. But after meeting up with another friend, we ended up with a pile of beer tickets. Which did not go to waste. The after-party band, Alter Ego, was also really fun. So we basically danced, bounced and drank our running aches away until they shut everything down around noon. All in all, it was a fantastic day. Of course, once I got home and took a shower I needed a little nap to recharge. And my knees felt awful until I got a full night of sleep. But I’m totally ready to sign up again for next year! In case you missed it, I decided to join a 6-week Elite Warrior Boot Camp at my gym. I’ve been in a bit of a gym rut, so I thought that working with a trainer in a small group might be just the thing to get me motivated again. I picked the 3-day-a-week option, so as of today I am 9 classes in… or the halfway point. Coming back into the gym for my second week of classes was much easier than starting the first week. I kind of knew what to expect now that I’ve been through three different workouts. I also have seen many of the same faces at each class, which is nice. At the beginning of this week, I’m already feeling stronger than I was last week. Monday was a “normal” workout with a mix of cardio and weight training. On Wednesday, the trainer had to reschedule the class for the weekend (which I was unable to attend), so I went to the gym on my own and did an hour of cardio. Friday was another beating-the-crap-out-of-the-punching-bag-day, which is my FAVORITE kind of day! Class #6 was the one that really killed me. The session started with the group running up and down 3 flights of stairs 13 times and then just kept it going with bunch of different cardio activities for the full hour. I. Was. Pooped. But, I felt pretty great about myself. This is where it started to get hard. Not so much physically hard, but emotionally hard. My goals when starting the boot camps were basically to feel stronger and altogether better about myself. However, I do admit that deep down inside I also hoped that like 10 pounds would just slide off and I’d suddenly look amazing in a bikini. I DO feel much stronger and my muscles ARE much stronger, but my weight is basically the same. I understand that muscle weighs more than fat, so at the end of the program I am interested to see if I have lost any inches. I also understand that it’s only the third week and real body change takes time. Also, if I really want to see some hard-core changes…I’d need to adjust my diet even more. Even knowing all this, the petulant 13-year-old inside me is grumpy about it. But luckily, I snapped myself (mostly) out of it by Friday… because as I’ve mentioned before boxing day is my favorite day! Yesterday was class #9 for me, marking my halfway point and I’m still feeling really great about my choice to push myself with this boot camp. It feels good to go to the gym and sweat it out for an hour. I’m not happy about my tummy, but I’m working on it — both mentally and physically. I feel proud of myself when I’m able to keep up with the other people in the class. And I really feel good when I punch the hell out of a punching bag. If you want to follow along with my Elite Warrior Boot Camp, I’m trying to post after each workout on my Instagram account (find it here). I’m also planning to do a Results blog check-in at the end of the 6 weeks. A March Fitness Challenge. Maybe. 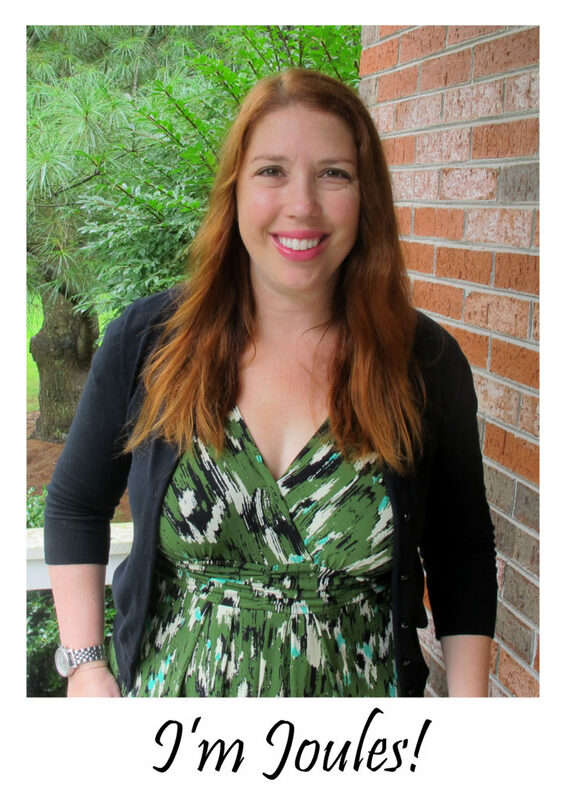 A couple weeks ago I was feeling kind of… pudgy. Apparently I had myself a bit of a fluffy February. So, I was thinking maybe I could spice things up with a fitness challenge for March. I was calling it “MARCH into Fitness” and would do a corny eyebrow raise for my husband’s benefit. But I never actually got around to figuring out WHICH fitness challenge to do. I mean, I’m already trying to eat relatively healthy. I’m already trying to get to the gym 9x a month. What should I do?? 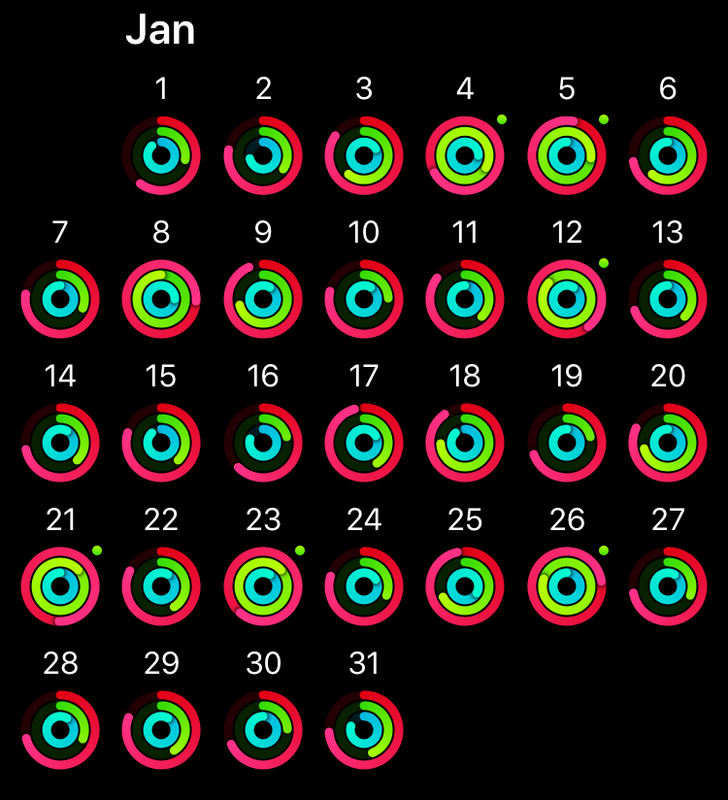 I have the iWatch, so I thought maybe I could try to close my rings every day. For those non iWatch people, you have three fitness rings with the goal to close them. Ring 1: Your Move goal. For me it is set at 500 calories a day. Ring 2: Your Exercise goal. Mine is set at 30 minutes each day. Ring 3: Your Standing goal. I need to stand up for at least a minute (and move around) each hour for 12 hours during the day. This is especially good for getting me up from being hunched over the computer for hours on end. So, that’s a goal idea. Are any of you doing a fitness/health/back on track kinda challenge this month?